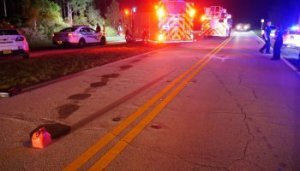 Driver Slams Into Utility Pole Along Central Boulevard in Jupiter | Schuler, Halvorson, Weisser, Zoeller & Overbeck P.A. Police said a 32-year-old man drove his Chevrolet Silverado into a utility pole along Central Boulevard in Jupiter. According to authorities, firefighters responded to the scene of the accident which occurred during the late hours of the night. Upon arrival, they found a utility pole resting on top of a Chevrolet Silverado; the pickup had been involved in a fatal collision that left the vehicle’s occupants with serious injuries. The accident happened when the 32-year-old Chevrolet driver traveled southbound on Central Boulevard. Subsequently, he lost control of the pickup and crashed into a utility pole close to the road. The driver sustained fatal injuries and was trapped in the vehicle until utility workers arrived to remove the pole from the crushed wreckage. He sustained multiple fractures and was taken to the hospital for treatment. Meanwhile, when paramedics arrived, they found a front seat passenger, a 37-year-old woman, in an unconscious state. Paramedics attended to the unconscious woman until her vitals were stabilized; then they transported her to a nearby hospital via ambulance. Investigators are still trying to determine what caused the 32-year-old driver to veer of the road. Very little is known of the identity of the two passengers at the moment, more information will be provided as investigations progress.